Possible Money Maker on Cascadian Farms Cereal! 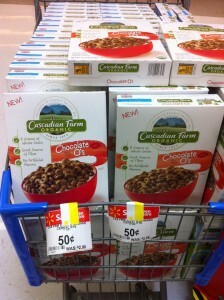 The next time you're at Walmart, keep your eyes open for clearanced Cascadian Farms Cereal. Make sure you bring this coupon with you to score a possible money maker! = FREE + $0.25 money maker!